Amidst all the exciting goings-on at Baselworld 2015, I had the unique opportunity to see and touch a Fabergé egg—the first created in the Imperial Class for nearly a century wherein the Fabergé name and the Fabergé family are united. Coinciding with the debut of this truly astounding Pearl Egg, Fabergé introduced new collections of watches for men and women whose world-class exteriors are a perfect match for their serious interiors. 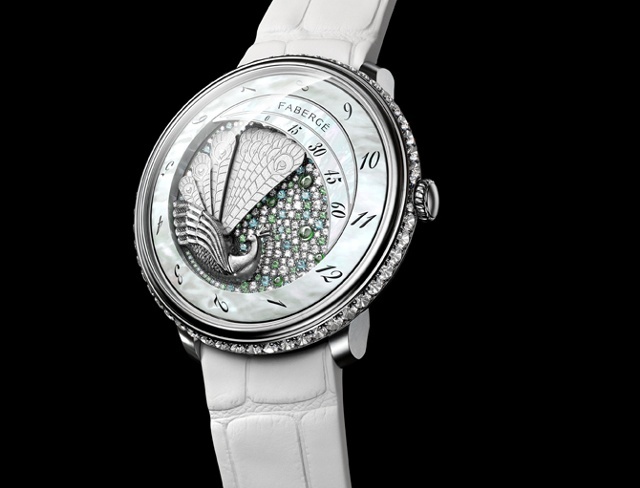 Shown here is a model from the Lady Compliquée collection, which displays a peacock tail to mark the time. The mechanism is the brainchild of watchmaker Jean-Marc Wiederrecht, who was also responsible for Harry Winston’s Opus 9, and the watch’s design is an homage to the famous Fabergé Peacock Egg of 1908. Incidentally, the Pearl Egg, which features 139 golden pearls, mother-of-pearl, 3,305 diamonds, white and yellow gold, carved crystal and a single 12.17-carat gray pearl at its center, was already sold by the time I had a chance to get up close and personal. 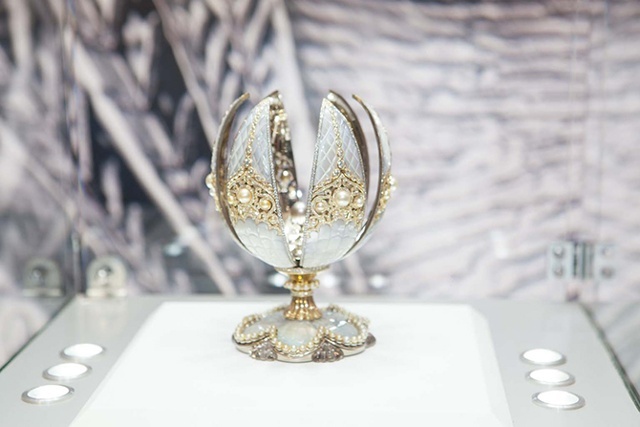 Mr Hussain Al-Fardan, Chairman of the Alfardan Group and founding Director of Investcorp, and also one of the most renowned natural pearl collectors in the world, offered the egg for display at Baselworld throughout its duration.